Photo credit: Adapted by WhoWhatWhy from CPB, Bob Leonard / Wikimedia and A Name Like Shields Can / Flickr (CC BY 2.0). It has been nearly five years since two bombs exploded at the finish line of the Boston Marathon, and nearly three years since the conclusion of the trial of the sole surviving Tsarnaev brother, Dzhokhar. And yet, the government continues to maintain radio silence over many crucial questions related to the bombing. Since the 2013 bombing, WhoWhatWhy has made dozens and dozens of records requests through the Freedom of Information Act (FOIA) and other records request laws, from multiple government agencies, in an effort to fill in some of the many holes in the story that remain after a secretive federal investigation and trial. The results have been mixed, to say the least. Most of the ongoing secrecy relates to the deceased mastermind and main bombing perpetrator: the older brother Tamerlan. And a surprising number of Boston’s local law enforcement question whether the FBI is coming clean about what it knows about the now-deceased Tsarnaev brother. * How was Tamerlan able to travel back and forth to the country from which he sought asylum in 2012, despite being on multiple terror watchlists? * Why was he not questioned about the 2011 murder of three of his friends? * Was Tamerlan working for the US government in some capacity? * Was the FBI or some other federal agency using Tamerlan’s desire to become a US citizen as leverage? * Did the Tsarnaevs have help constructing the bombs? * Was anyone else involved in planning or inspiring the plot? Besides the big questions, our ongoing efforts to track down and verify even mundane details about the bombing reveal a flawed and seemingly arbitrary system for making government documents public. Tamerlan Tsarnaev’s travel records, for instance. In September, we wrote about our attempts through FOIA to ascertain details of the confinement conditions of Dzhokhar Tsarnaev. We also detailed our multiple requests to the Bureau of Prisons (BOP) to interview Tsarnaev. The process was nothing short of a Kafkaesque wilderness of mirrors. Obtaining “public” records through FOIA has always been imperfect. And although improvements have been made, requesters are largely in the dark about what agencies might be holding back; most agencies’ search practices and criteria are like an impenetrable black box. 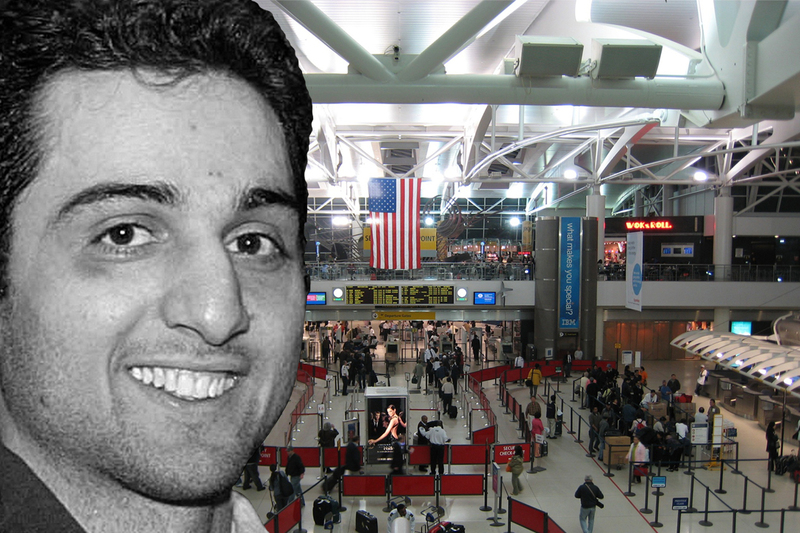 WhoWhatWhy’s efforts at obtaining Tamerlan Tsarnaev’s 2012 travel records are a case in point. First off, the elder Tsarnaev brother is deceased. His records are ostensibly public information — and the public has a right to know more about him. Back in July, we sent Customs and Border Protection (CBP) a request for “arrival” and “departure” records produced when Tsarnaev traveled to Dagestan by way of Moscow in 2012. According to official accounts, Tsarnaev flew out of JFK International January 21, 2012, and returned to JFK July 19, 2012. The apparent ease with which Tsarnaev flew in and out of the US to a known hotbed of terroristic activity (Dagestan), despite being on multiple watch lists, is one of the enduring mysteries about the elder brother. Consider also that the Russians, who had flagged him as a dangerous radical well before US officials watch-listed him, also allowed him to fly in and out of their country unimpeded. The report even describes a photograph of Tsarnaev on one of the documents. The January 12 date was repeated by multiple media outlets and was even cited by then head of the Department of Homeland Security Janet Napolitano when she testified before Congress about the bombing investigation. Photo credit: Adapted by WhoWhatWhy from Doug Letterman / Wikimedia. Spoiler alert: New York 4 screwed up the travel dates. But the fact that they were citing actual documents with contradictory dates was intriguing given that Tsarnaev’s travel to Russia was shady to begin with. So we tried to verify or disprove on our own. So the only other option to clear up the mystery was FOIA. In July of this year, we requested “all arrival/departure records for Tamerlan Tsarnaev” from CBP. By the end of August (which is a pretty quick turnaround as FOIA goes) CBP furnished us the results of its search. There was only one problem, they provided Tsarnaev’s “arrival” records only. WhoWhatWhy called CBP’s FOIA liaison to ask how it was possible they couldn’t find a corresponding departure record. The liaison indicated that a search was conducted with the information that was provided in the request — that was the result. 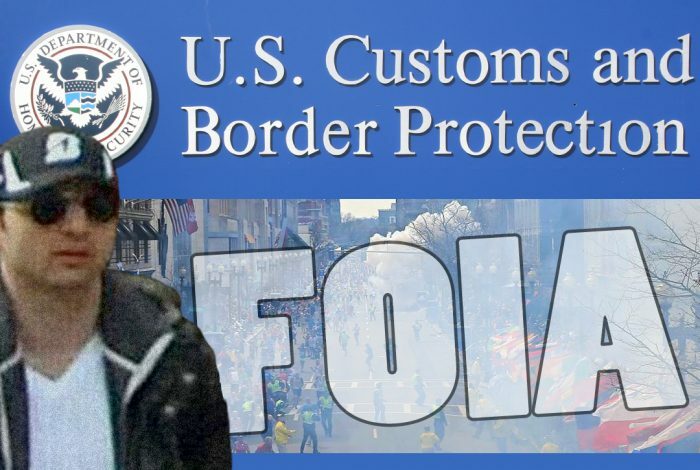 So we appealed, pointing out that it was widely reported in the media, and government officials were on the record stating, that Tsarnaev had in fact traveled out of the country in January 2012 and that CBP must, therefore, have records of his departure. We also included — under the assumption that maybe the name search “Tamerlan Tsarnaev” was the problem — a long list of possible name variants we collected from Tamerlan Tsarnaev’s A-file and from an Intelligence Community Inspector General (IGIC) report. The IGIC report probed some of the “intelligence failures,” like how Tsarnaev’s travels in and out of the country eluded any additional scrutiny despite the fact that he was on multiple watch lists, each of which characterized him as a dangerous individual. Part of IGIC’s determination was that some of the watch list information about Tsarnaev included incorrect transliterations and incorrect birth dates. So we included all of those too. This time, we received five pages, including a “Person Encounter List,” a “Person Encounter Detail” (the sought-after departure records), and two “Person Encounter Detail[s]” documenting his return to the US July 19, 2012. It was unclear, then, why the search for documents in the initial request didn’t produce the same records — so we FOIA’d our FOIA request. We asked for “all records, including emails, search slips, index entries, and/or memos” produced as a result of our initial request and subsequent appeal. Surprisingly, CBP’s “final response” came the very next day. We appealed, pointing out the absurdity of the proposition that CBP would not be able to find its own FOIA processing records. A month and a half later we finally received 42 pages of FOIA processing records. Another spoiler alert: It’s not exactly clear in the records why the initial request only came up with Tsarnaev’s arrival records. But Tsarnaev’s Alien Identification Number (A-number) does appear in the subject line of one of the FOIA official’s emails — so maybe they had searched using that. It’s hard to tell. Presumably, CBP officials would know what is the most efficient way to search for records. Why not just search that way to begin with? Instead, the tertiary initial search for records ends up exhausting one of only two opportunities available — short of suing — forcing requesters to appeal just to get the records they were entitled to in the first place. And if at that point the requester disputes the legitimacy of the redactions in the documents, or what was provided — too bad. Yes, we ultimately did get the documents we were after. But only after getting the proverbial middle finger and an all-too-common runaround from CBP. It’s tempting to chalk the terrible state of information requesting up to the usual incompetent government trope. But the responses from all of the federal agencies are so consistently bad, that one has to wonder whether it is terrible by design. Jill Vaglica contributed to this article. Related front page panorama photo credit: Adapted by WhoWhatWhy from Tamerlan Tsarnaev ( Johannes Hirn / Wikimedia/ Wikimedia), bombing (A Name Like Shields Can / Flickr p- CC BY 2.0).